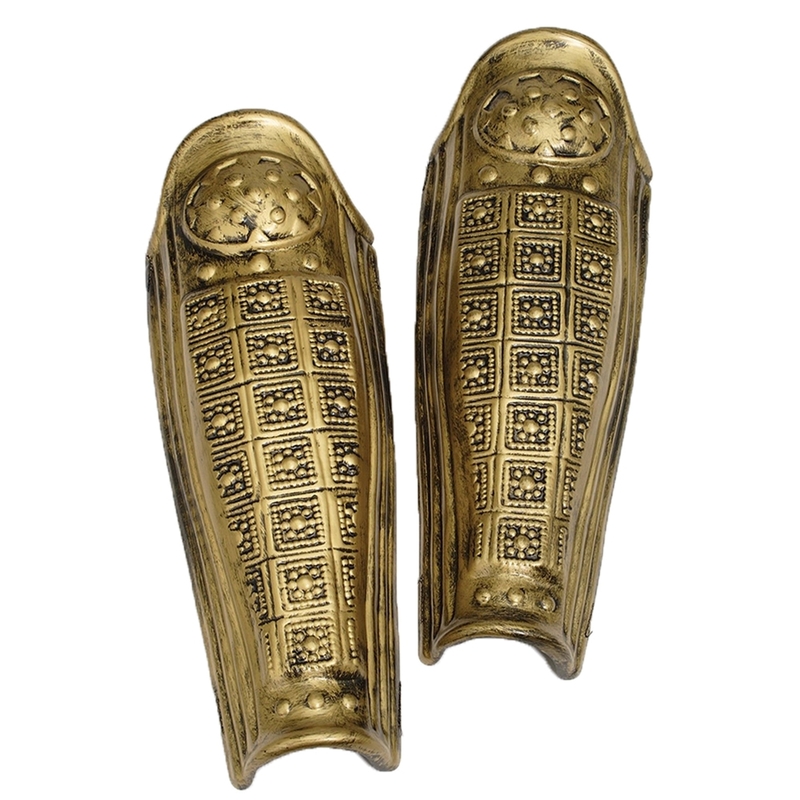 Complete your Roman warrior costume with this Gold Roman Leg Armor Pair. These gold leg armors are lightweight and feature decorative accents and black tie closures in back to keep them securely in place. Perfect for Halloween, these Roman leg armors can also be used for theatrical performances and church plays. Can't really rate this item since I received the wrong leg armor, but based on the one I got, it is very flimsy, not worth the money. Too bad I didn't have time to initiate a return for several of the items I ordered.